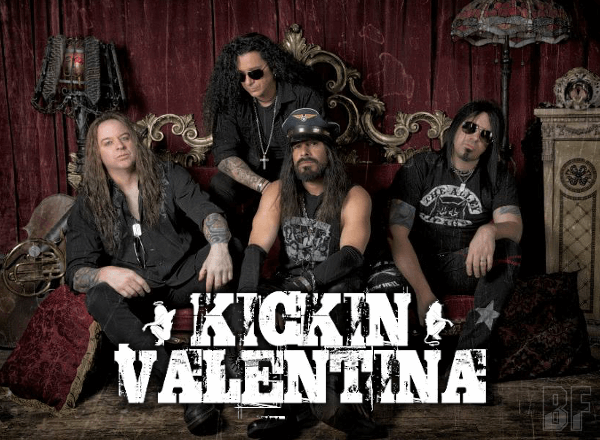 KICKIN VALENTINA is an Atlanta (US) based Hard Rock band formed in early 2013 by guitarist Heber Pampillon and drummer Jimmy Berdine, and has released their self-titled EP in October 2013 and the 2nd EP "Super Atomic" in April 2015 through Highway 9 Records. The band plays mixture of sleaze and blues with rock’n’roll attitude. Now they are gaining attention while growing a solid fan base from across the US and abroad. 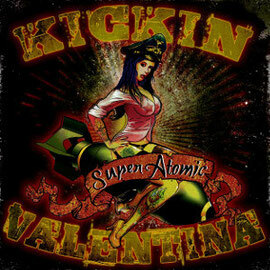 KICKIN VALENTINA has toured across the US and appeared at the opening for artists as diverse as Buckcherry, Queensryche, Pop Evil, Fozzy, Skid Row, Red Dragon Cartel, Sebastian Bach, Doro, Eve to Adam, Faster Pussycat, Nonpoint, Kix, LA Guns, and Cilver. In addition to their own headlining shows, they have also performed at a variety of music festivals such as Soundwave (MD), Rock n Skull (IL), Wolf Fest (CO), Skull Fest (NE), Summer Rock Party (IL), Outskirts 53 Music & Bike Fest (GA). Further to that, in June 2014 they have won “Rock Band of the Year” for the prestigious 2014 GA Music Award. Their first single "Get Ready" was used by the Jacksonville Axemen Rugby Team for promotional commercials and played during home games. Also both "Get Ready" and the standout track "Alone" was featured in the new action horror movie and soundtrack "Altered" (2014) from award winning film director Kely McClung.